Sing It Loud, a local award-winning choir, are delighted to be presenting their 5th Anniversary celebration concert at the Royal Spa Centre. 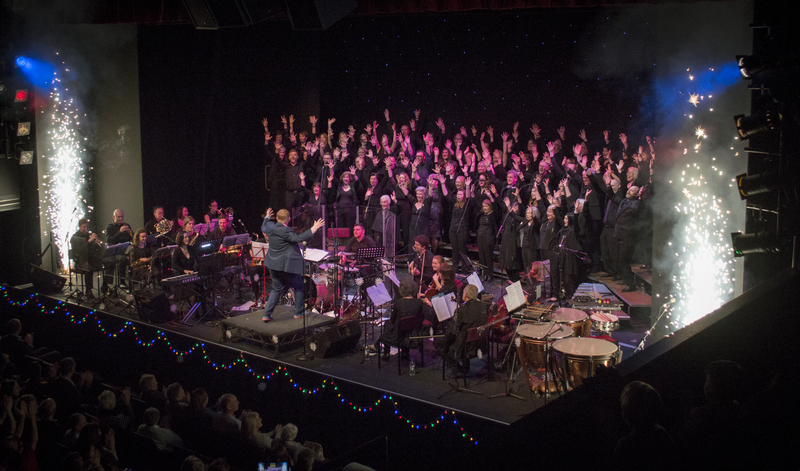 For the second year running the 80 strong choir and their 20 piece band will wow you with their impressive sound. Over the past five years Sing It Loud have achieved great things; performing nine local concerts, winning choir festivals in 2015 and 2017, and raising over £12,000 for charity. Sing It Loud concerts are always full of energy, containing music from all genres and eras - there really will be something for everyone. The concert will be raising money for a local charity, The Ups of Downs - celebrating Down syndrome in Warwickshire.